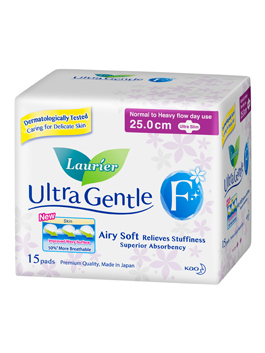 The improved Laurier Ultra Gentle is now softer than ever on your skin. 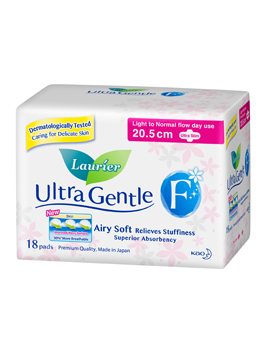 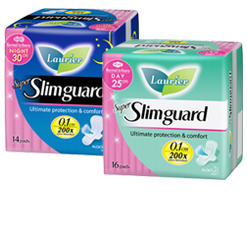 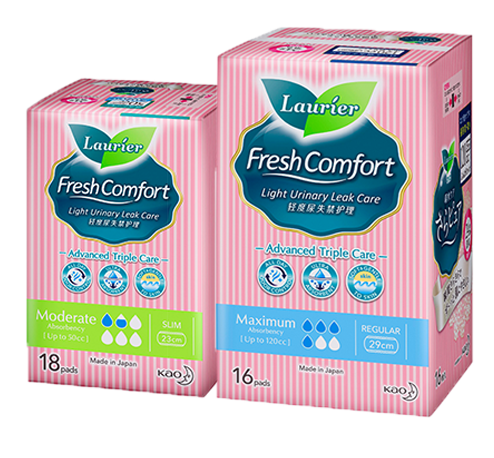 Developed and produced in Japan, dermatologically tested Laurier Ultra Gentle brings you the ultimate level of comfort during your periods. 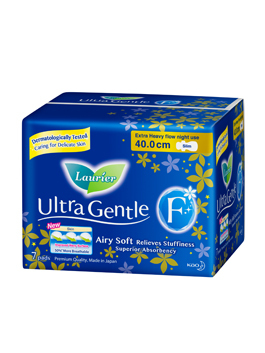 Minimal Friction: Our unique wavy surface reduces skin contact, minimizing friction by 30%*, making it gentler than ordinary cotton napkins. 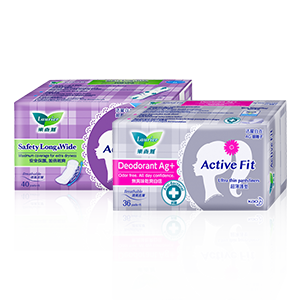 Extra Breathable: Improved wavy surface promotes and increases airflow by +50%^, thus relieving stuffiness, moisture and itchiness. 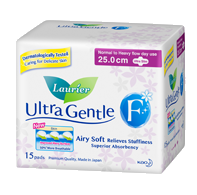 Quick Lock & Dry: Super absorbent layer that lock in fluids quickly means a drier and sticky free surface. 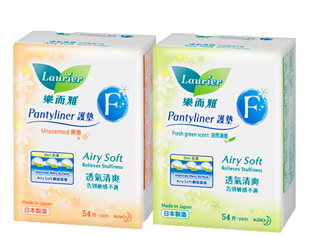 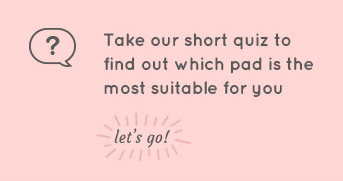 Also available are our F Pantyliners which provides superior softness and dryness everyday.